Becca has been practicing yoga since 1996 when she took a college credit yoga class and was hooked. She knew she wanted to teach Yoga, but also knew she wanted to teach from a place of knowledge and understanding. She spent the next 10 years practicing and absorbing all I could of this ancient practice. She studied Hatha, Ashtanga, Bikram, Jivamukti, and Kyira before arriving at the Classical Yoga system at Yoga Life Institute in Malvern, PA in 2006. For one year, she was immersed in the 8 fold Yoga Path as set out by the Yoga Sutures of Patanjali as she completed her 200-hour teacher training studies and Bachelors in Exercise Science. She recently completed a 300-Hr YTT at Cambio Yoga in Colorado Springs. 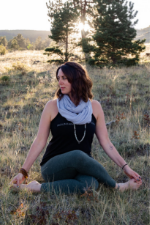 Becca created Mountain Harmony to provide our community with a space of passion, wisdom, and honesty to support a deep exploration of the Self in Body, Mind, and Spirit. Becca is a Doctor of Physical Therapy and specializes in Orthopaedic, Pediatric, Vestibular, and Lymphedema Therapy. Yoga has been part of my life for the last 20 years. Even though my day job is teaching at Adams State, I love getting to teach in a different way by sharing my passion for yoga, especially with beginners. In my classes I try to make space for both relaxation and challenge, recognizing that yoga can be an opportunity for growth and a haven from stress. I am certified as a 200-hour level one instructor and completed a 30-hour meditation teacher training at the Shoshoni ashram in Rollinsville, Colorado. 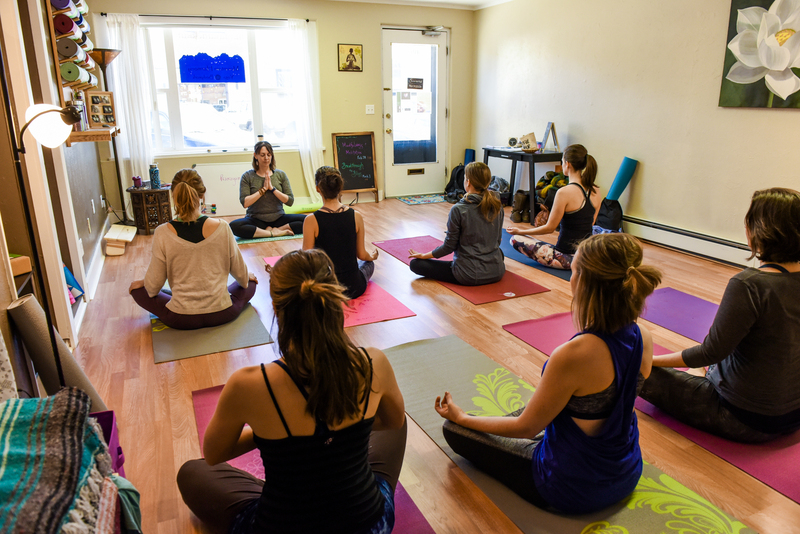 Kate is excited to share her experience and the joy of yoga with people in the place she loves most, the San Luis Valley. Kate has been practicing yoga since 2007 and received her 200-hour teaching certification in April 2019, from Mountain Harmony Yoga. Yoga has helped Kate on her mental and physical journey to health over the last twelve years, and she looks forward to sharing that journey with others at Mountain Harmony. Kate’s classes will meet students wherever they are and help them tap into all the wonderful benefits of yoga! Sierra McKechnie has been practicing yoga and incorporating its philosophy into her life for the last ten years. Sierra graduated from Mountain Harmony Yoga School as an RYT 200 and has a passion for yoga, play and love. She loves all forms of yoga but has a special love for Hatha, Vinyasa and Yin. Sierra wishes to impart the joy of yoga to all of her students along with the healing it has sparked in hers. She hopes to help students find balance mentally, physically and spiritually with practices they can make their own and incorporate into their daily lives.